Custom development for Shopify stores. 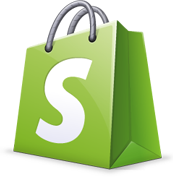 We have over 4 years of experience in development for Shopify and created over 20 custom apps for our customers. We can enhance your store with custom features or help you integrate it with other apps such as payment gateways and email marketing or accounting software. We also design and develop apps for Facebook and Twitter to help you promote your store in some unique and creative ways!